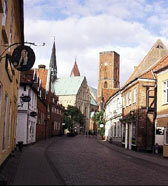 The City of Ely, in Cambridgeshire, England, has been twinned with Denmark's oldest town - Ribe in Jutland - since 1956. This very special relationship was marked by the commissioning of a special tapestry in 2004, to celebrate 50 years of twinning. This website tells the story of this unique project, from the initial idea through design and weaving to the unveiling during the 50th anniversary celebrations in Ely in September 2006. You can also find out about the history of this special relationship between two towns of different nationalities, that in many ways are strikingly similar. 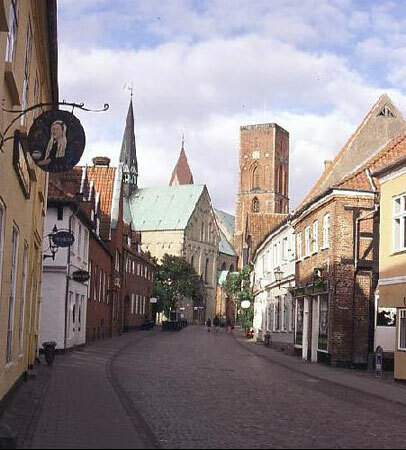 And of course if you would like to know more about the Ely-Ribe Association, the group of Ely residents who maintain this contact with our twin town, you can find our contact details here. 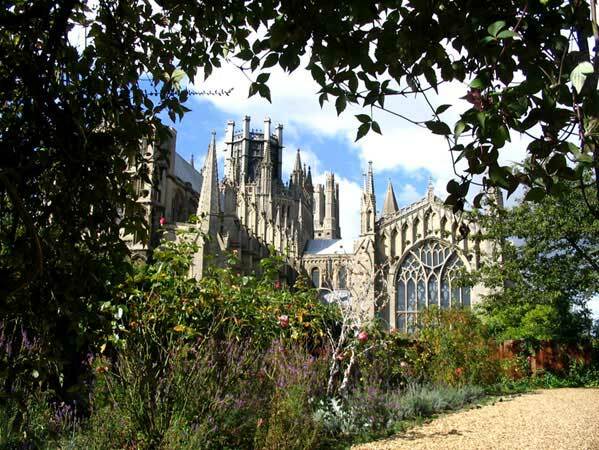 Most of all, we hope that as you explore this website you will want to visit Ely and see the tapestry for yourself!